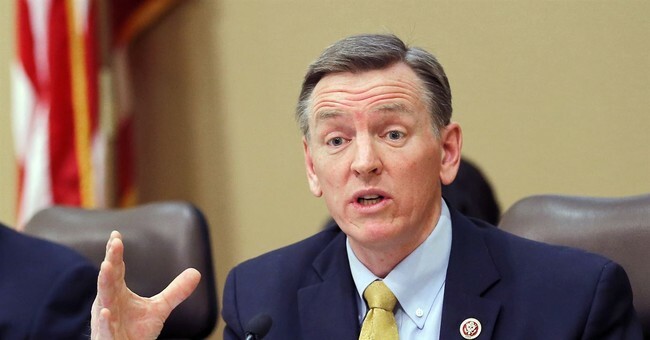 "For seven years we kept our peace," says David Gosar, brother of Arizona Republican Rep. Paul Gosar, in a CNN interview Monday. David, Tim, Jennifer, Gaston, Joan, and Grace said it was time to speak out against their brother's radical conservative agenda. Last year, Rep. Gosar went on Vice News and started "slandering" Democratic donor George Soros, David explained. He called Soros a Nazi collaborator and accused him of being behind the Charlottesville Nazi march. "You don't do that," Gosar said. "That's a matter of right or wrong." The representative was also casting votes that impacted our lives, David said, like his vote against health care. So, he and five of his siblings filmed the following ad, telling Arizonans to vote for their brother's opponent. Judging by Rep. Gosar's response, there was no love lost. He dismissed his brothers and sisters as "disgruntled Hillary supporters." David said he doesn't talk to his brother. The last time they spoke was a couple years ago at his daughter's wedding. Their conservative parents are disappointed in the ad. Gosar's brother even suggested the congressman was mentally unstable. "He's getting more and more extreme," David said. "He appears to be in a very hostile manner all the time. He talks down to people." He added that he has said "bizarre" and "petulant" things like he's "mom's favorite." The CNN anchors noted that none of the siblings featured in the ad actually live in Arizona. "I understand where your question's going," Gosar admitted. But, he explained that his brother votes on issues that impact people nationwide. "You can't pick your family," Rep. Gosar noted on Twitter.